In “Records of Rights,” explore how generations of Americans sought to fulfill the promise of the founding documents. The David M. Rubenstein Gallery exhibition showcases original and facsimile National Archives documents and uses an innovative 17-foot-long touch-screen interactive table to illustrate how Americans have debated about and fought for rights like free speech, religion, and equality. Preview some of the featured documents in the "Records of Rights" Online Exhibit. 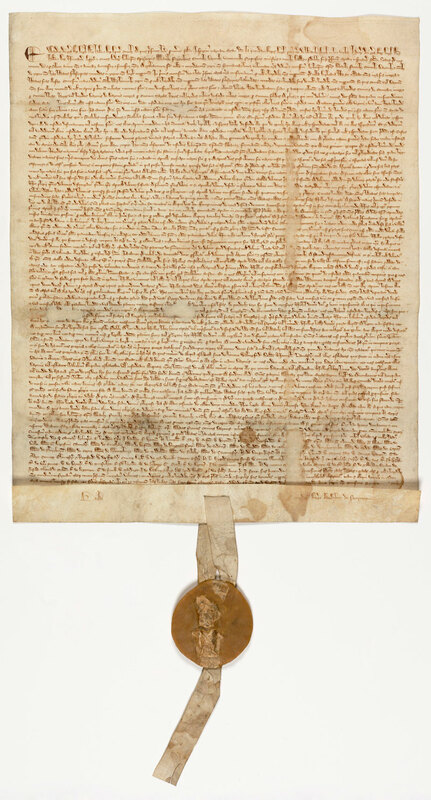 Begin your exploration of "Records of Rights" by viewing an original 1297 Magna Carta, on display courtesy of David M. Rubenstein. The title page, opening memo, and table of contents from the Pentagon Papers are on display in the Landmark Document Case. Portions of the report on the history of the Vietnam War, secretly commissioned by Secretary of Defense Robert McNamara in 1967, were leaked to the New York Times and other media outlets. The U.S. Justice Department attempted to stop publication, but on June 30, 1971, the U.S. Supreme Court ruled in the United States v. The New York Times Company that the constitutional right to a free press overrode other concerns.